Mia Hopkins: So you want to be a writer? 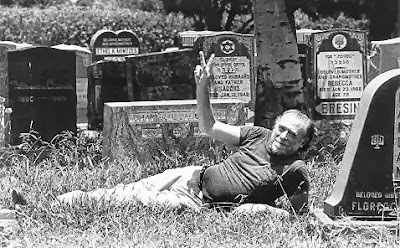 Charles Bukowski. Image from Wikimedia. When I was a teenager, Charles Bukowski was one of my favorite writers. 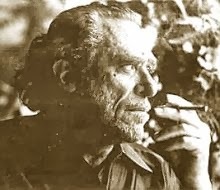 Except for my closeted boy-craziness, I was a straight-edged kid; the vulgarity, elegance, and worldliness of Bukowski's writing appealed to me because it expressed ideas that were so far out of my ken he might as well have been Tolkien. Nonetheless, his world was one I wanted to know, and his loneliness felt like my own. I stumbled across his poem "so you want to be a writer?" this weekend, and it reminded me of how much I love him. Here are a few lines. I continue to listen to the piano. 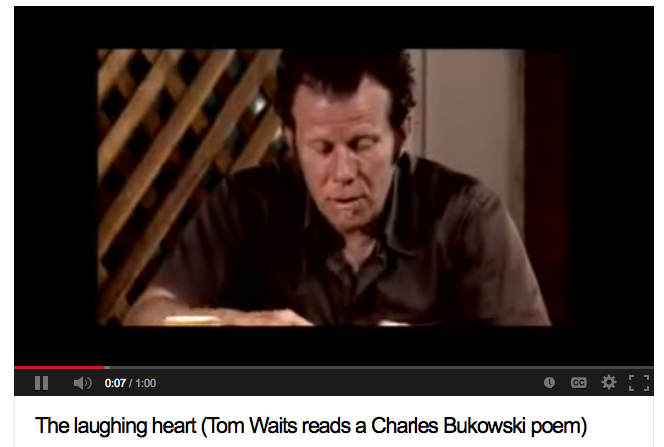 Here's Tom Waits reading Bukowski's poem "The laughing heart." It is one of my favorite things on the vast Internet. Thank you, you dirty old man.